Silent practice for Bb and C trumpet. 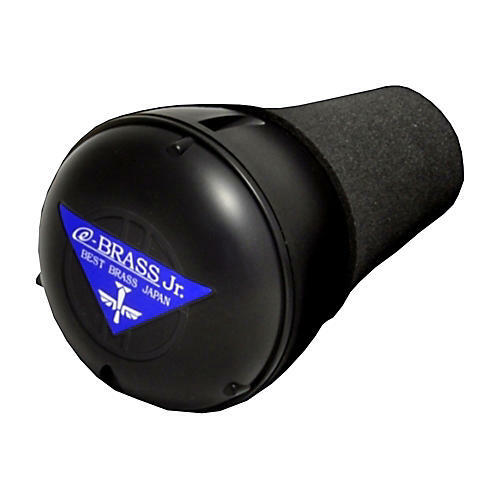 The Best Brass Warm-Up Junior for Trumpet is a silencer for brass instruments that allows a player to work out in environments where a loud brass instrument is not welcome. It is ideal for apartment dwellers, professionals on tour who wish to play in the hotel room, students who wish to practice at home late at night, and anyone else who would benefit by not having their practice sessions audible by others in the vicinity. This one is designed to fit most Bb and C trumpet bells. The sound reduction is approximately -35dB, but without restricting the free-blowing nature of your horn. The live sound is picked up by a good quality microphone which can then be monitored ovber headphones. There is a built-in metronome, as well as a quality digital reverb that makes the horn sound deep and full, as though you were playing in a spacious hall. There is a line out for recording, or for patching to other effects devices, the output of which can then be routed to the auxiliary input, providing a vast array of sounds. Order today and practice anytime, anywhere.